Six European countries are among the 10 most competitive nations in the world, according to a World Economic Forum study released on Tuesday. The United States leads the rankings with a score of 85.6 out of 100 and is described as "the closest economy to the frontier, the ideal state". Singapore (83.5), Germany (82.8), Switzerland (82.6) and Japan (82.5) make up the rest of the top 5. They are followed by the Netherlands, Hong Kong, the UK, Sweden and Denmark. The Global Competitiveness Index aims to measure productivity, which it views as "the most important determinant of long-term growth and income". A new methodology, covering 98 indicators from infrastructure to innovation, was introduced to shed light on the effect on productivity of the Fourth Industrial Revolution, which is characterised by a range of new technologies impacting disciplines, economies and industries. 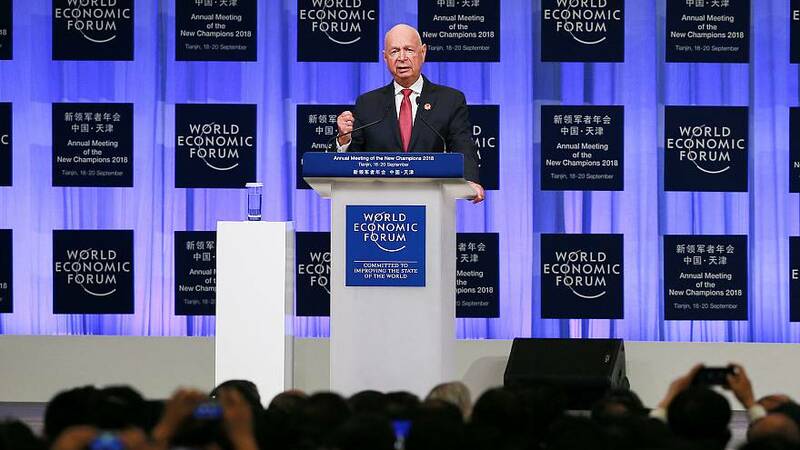 For Klaus Schwab, chairman of the World Economic Forum, the Fourth Industrial Revolution is creating new opportunities but it also "threatens a new divergence and polarisation within and between economies and societies". Each of the 140 surveyed countries was attributed a score ranging from 0 to 100 with the frontier (100) corresponding to the goalpost or "ideal state". The countries making up the top 10 are nearly unchanged with the exception of Denmark, which clinched the 10th place to the detriment of Canada, now 12th. The UK slipped two places to rank 8th but is of particular note for being the only one of the 10 leading countries to have registered a decrease in its overall score (-0.1 to 82.0). Brexit, the report says, will weaken the country's markets and it is also less prepared than its peers to adapt to rapid technological changes. The report also flags that although the US is "closest" to the ideal state due to its vibrant entrepreneurial culture, relative stability and "very conducive" institutional framework, there is room for improvement. It warns for instance that there are indications the social fabric is weakening, that the security situation is worsening — the country's homicide rate is five times the average for advanced economies — and that there are relatively low checks and balances, judicial independence and transparency. The survey results also offer the "sobering conclusion that most economies are far from the competitiveness "frontier" given that the median global score is 60. They also reveal that there are huge competitiveness gaps between regions, with 21 countries including 18 in sub-Saharan Africa that score lower than 50. With a 35.5 grade, Chad is deemed the least competitive nation in the world. There are also disparities within regions, as shown in Europe and Asia which both have multiple countries in the top 10 as well as in the bottom half — Bosnia and Herzegovina is 91st, Laos is 112th. "It is instead the result of proactive policies and leadership," it adds.